We provide opportunities to local artists. 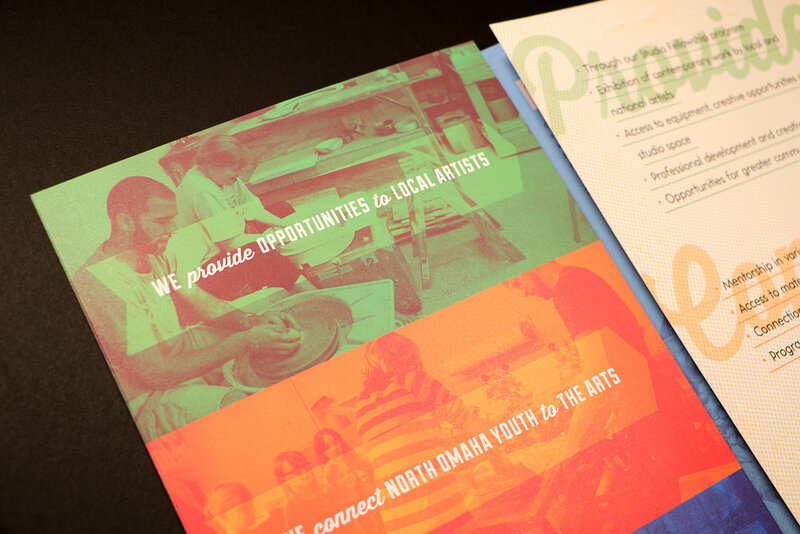 We connect north Omaha youth to the arts. We support our community. 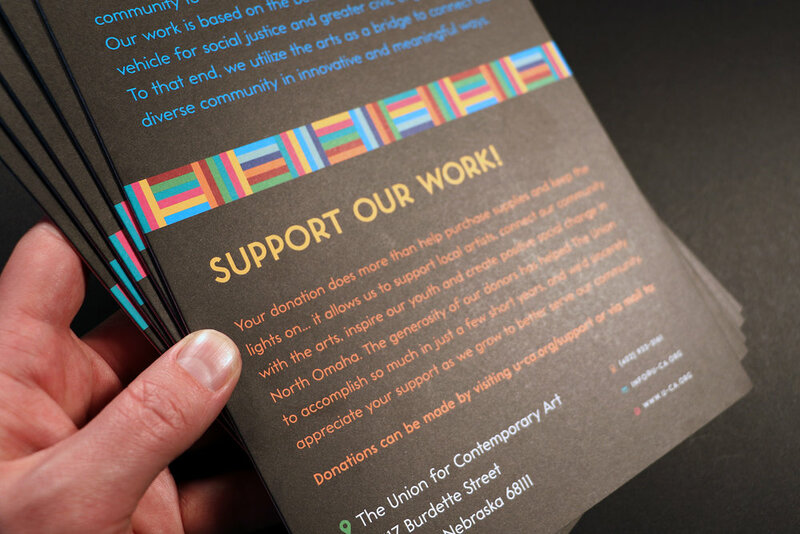 With a strong brand foundation established, design work for The Union for Contemporary Art has been focused on marketing. As this important community nonprofit continues to evolve, we’ve created a few pieces to help communicate all the good work that’s happened at The Union and where it plans to go next. 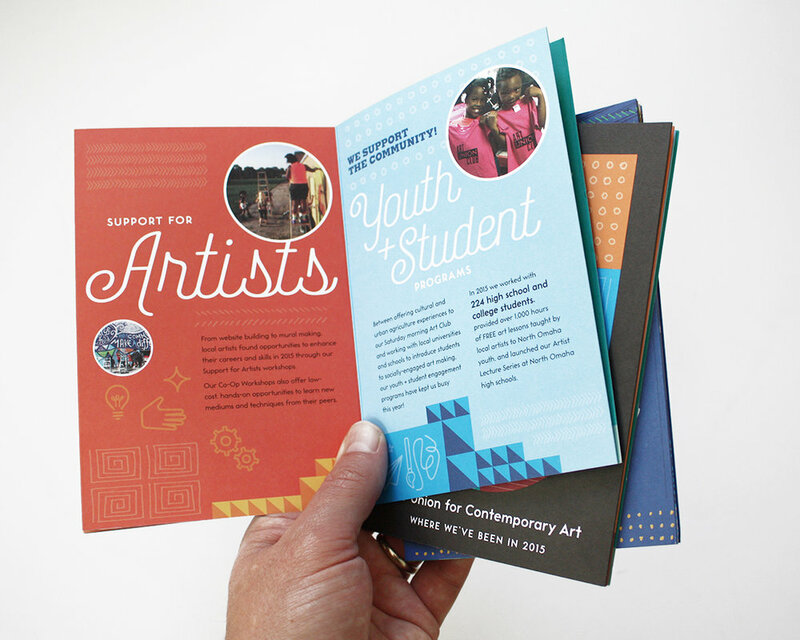 Shown above are the 2014 and 2015 Annual Appeals designed to communicate its yearly impact. 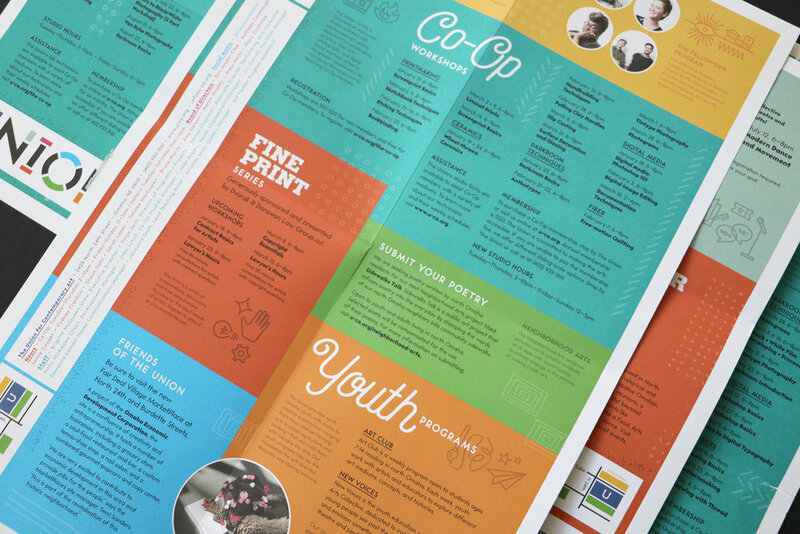 The brochure below was designed to showcase all 8 of their programs in a concise and visual way — bright colors, simple iconography, gritty textures, and colorized photography. 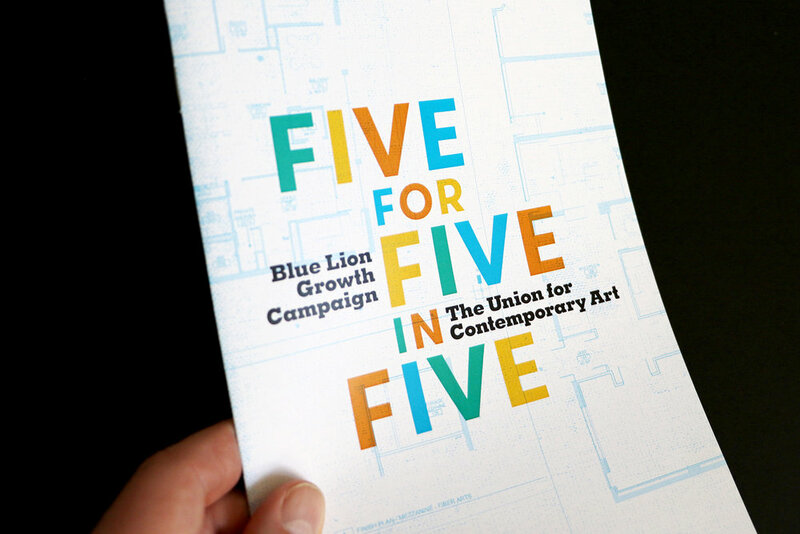 In 2016, in celebration of their 5th anniversary, The Union launched the Blue Lion Growth Campaign as it prepared to move into a newly renovated building in north Omaha. We designed a concise brochure detailing out their plans. 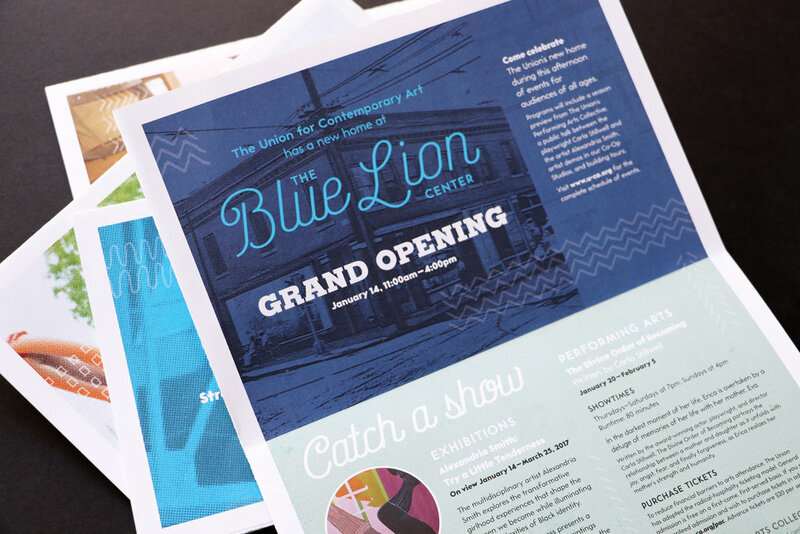 As the Blue Lion Growth Campaign approached its fundraising goals, we designed one last donor mailing to help put us over the top. We had Dana Damewood visit the new building and photograph the progress of the renovation led by Alley Poyner Macchietto. Unfinished spaces, exposed walls, and piles of building materials made for a great backdrop to let supporters know the project was in the home stretch. 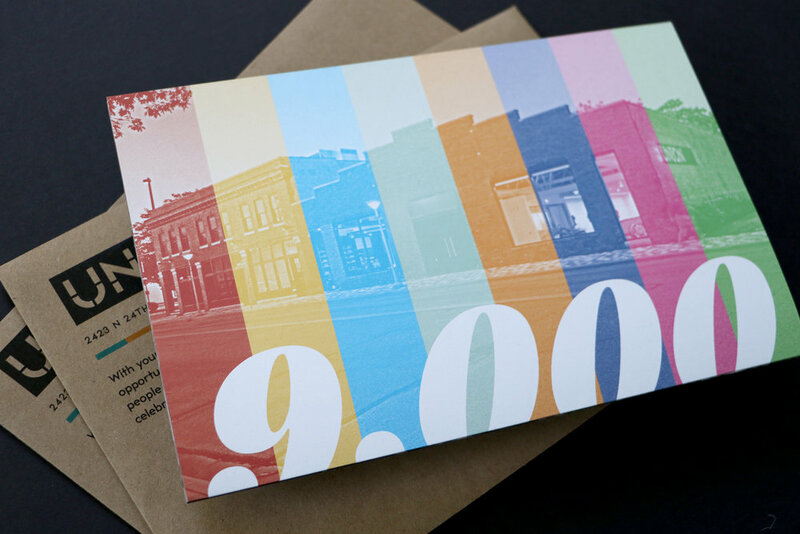 Brochure photography by Dana Damewood. The grand opening was January 14, 2017. The building is absolutely amazing. What it will do for north Omaha and the city as a whole will be huge. To support the Union as they bring their programs to a larger community in their beautiful, new home, consider donating online. And do join their mailing list to get this fancy quarterly newsletter. 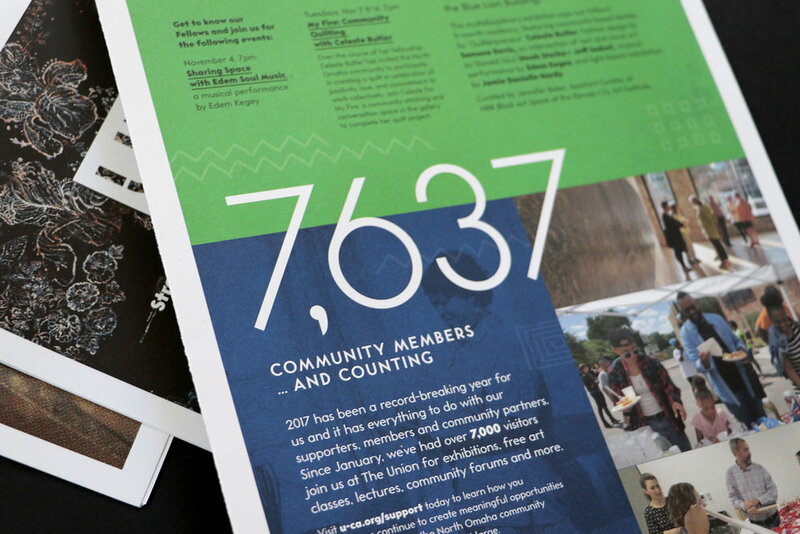 2017 connected more than 9,000 people to the arts at The Union. It was a big year both for the organization and for north Omaha. The Annual Appeal focused on their impact, the new building, and the people who make it wonderful. 2018 is a year of exciting new programs and activity. The updated Union branding includes a more sophisticated aesthetic for an organization that’s growing into its role as a leading voice that utilizes the arts to bring about social change.